Category Archives for "Resin Reviews"
As epoxy resin has become a more and more popular craft for many people, many more companies are coming out with new products to make this process even easier! Amazing Casting Products has a clear resin now that can be used for many types of projects including art pieces, décor, encasing small items, and more! Today, we’ll be reviewing the Amazing Casting Products Clear Resin in order to help you determine if this is a good resin product for your upcoming project! We’ll go over pricing and value, product details, and talk about what other previous users have said about the product! This resin is packaged in a 2-part package including resin and hardener that is used with a 1:1 mixing ratio. It cures to a hard, perfectly clear plastic. The working time for this resin is 30-40 minutes which leaves you plenty of time to get rid of bubbles and pack anything you want into your project! Alumilite’s clear resin needs 24 hours to completely harden. If you are doing multiple pours, it is recommended to wait 24 hours before your second pour. Don’t wait more than 48 hours though, or you may have to sand your product down before starting your second pour. So, save the time and prepare for your second pour 24 hours after your first one. Alumilite warns that this epoxy can begin to yellow as soon as 30-60 days after pouring. So, this epoxy is recommended for use over colorful backgrounds where slight yellowing won’t be noticed. Pouring over a stark white background may show the yellowing of the epoxy more. This clear resin is FDA compliant and can be used with Alumilite’s dyes and inks to change the color of your resin. You can also use other non-water-based dyes, but it is recommended to use Alumilite’s brand dyes. There are a few different places you can find Alumilite’s Amazing Casting Products Clear Resin, but Amazon is currently selling the 16-oz bottles for around $30. This means every user receives a 16-oz bottle of epoxy and a 16-oz bottle of hardener in this pack. This is a pretty good price for the quality and amount you get. This product is recommended for smaller objects and projects which means it can probably go a long way if you are using smaller items! It seems many users have used and reused this product regularly because they’ve loved it so much! Many epoxy lovers know and hate the intense fumes from epoxy, however this one was said to be less intense which is a great feature of this product. One drawback a few customers found is that this product is not FDA-approved. It is FDA compliant which means it adheres to the codes created by the FDA, however it has not been tested and approved by the FDA themselves. That being said, this is usually pretty standard for all epoxies. As far as the clarity of Alumilite’s Casting Resin, many users were happy with the end clarity of their project. It dried crystal clear and they had no problem removing any bubbles. However, a few users did report that this product yellows easily. The company warned about this resin being likely to yellow, but as long as you don’t use it with a white background or for a white item, then you should be good to go! You should also keep your project out of direct sunlight to avoid yellowing. Many users, however, were simply happy with this resin and the results they got with it. They say it is easy to use and manipulate, however you must thoroughly read the directions multiple times before starting to ensure you use it properly. It is also best to set up your workspace in advance so that you have everything laid out in front of you as needed and you can quickly and effectively work through your project. I would also advise to create your project indoors in a room with great ventilation at a low temperature. This way, you will get the best results possible while trying out this epoxy. Should You Buy Amazing Clear Cast Resin? Overall, this is a great epoxy, especially for the price. Users rave about its easy to use 1:1 ratio and clear use instructions. It’s lowered scent and quick curing time also make it an enjoyable product! One thing you definitely want to be mindful of is how this product can yellow within only 30-60 days of first using it which will not be good if you want a white product in the end. 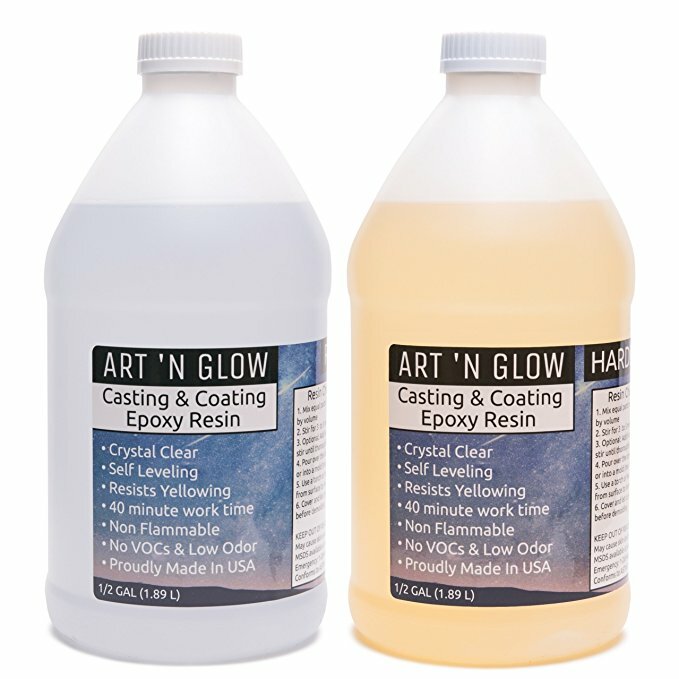 If you are concerned about yellowing, check out Art N Glow or EasyCast for alternatives. But overall this resin is awesome, and I’d recommend it to both beginners and veterans! Angel Crafts is pretty well known in the epoxy resin world. They make some good products that many epoxy users know and love. They’re epoxy resin formulas can be used for many different projects from homemade bar stools or table tops to artwork, jewelry, figurines, and more! There is so much to do in the world of epoxy, so it’s important you arm yourself with great products that you can trust. In today’s article we’ll be reviewing the Angel Crafts Clear Cast Epoxy Resin Mix Kit. We’ll walk through all of the pros and cons for this specific epoxy resin formula, pricing, product details and uses and more! What Does Angel Crafts' Clear Cast Epoxy Resin Cost? This clear casting epoxy resin is sold in a pack that includes a 32-ounce bottle of epoxy resin as well as a 32-ounce bottle of hardener. Currently, the best price can be found on Amazon for around $40. This is a bit steep for a product of this size, however this product is meant for smaller projects which means these 32-ounce bottles should go a long way. With epoxy resin you definitely get what you pay for, so paying a higher price might be worth it if you’re a beginner or you want to guarantee your product comes out looking great instead of bubbly, stained, or unclear. Angel Crafts’ clear casting epoxy resin should be used in a 50/50 ratio between the resin and hardener. This ratio should cure into a crystal-clear epoxy product in right around 37 minutes. If you would like to apply a second coat, this should be done promptly between 48 and 72 hours after your original product has cured and hardened. This product is self-leveling which makes it great for anything you want to have a smooth edge. It is also UV resistant so you can trust that this product shouldn’t yellow which is important for projects you plan to keep around for a while! Most pigments and dyes can be used with this epoxy resin; however, it’s advised to use Angel Crafts’ brand dyes and pigments to ensure proper mixture. This is a great addition to the project and really helps you to personalize whatever project you are working on. Angel Crafts’ epoxy resin is also water resistant and non-flammable. Angel Crafts also takes pride in the fact that they choose more environmentally friendly products for their products. Their ingredients are also less harsh on the user which is a huge plus for anyone with concerns about the effects of being near epoxy resin. Overall, this product has almost nothing but rave reviews from its regular users. Many customers noticed that this epoxy resin formula has little to no smell which is a fantastic plus for anyone sensitive to strong smells or fumes. Customers have also noticed that this epoxy resin product is perfect for beginners as it is easy to work with especially thanks to its 50/50 epoxy resin and hardener ratio. However, many users recommend this product only for small projects. It’s not the best option for making furniture or larger objects. A few users pointed out that the bubbles remove quickly both while in the cup and while pouring when they used this epoxy resin. You can pour thicker sections with this epoxy without risking the clarity of your end product which is great for beginners! 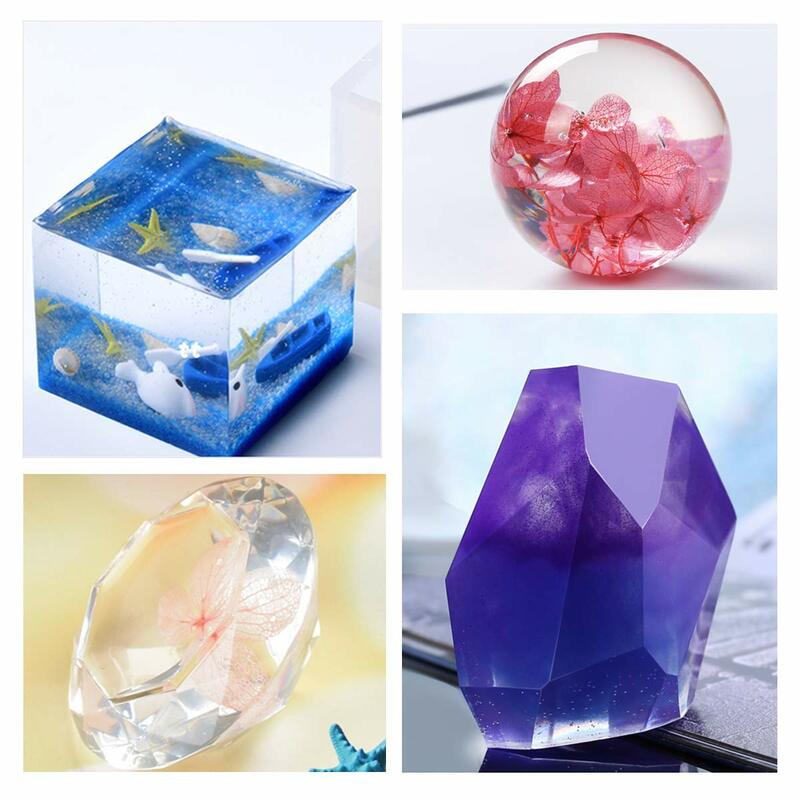 Overall, it seems users are really happy with Angel Crafts’ Clear Cast Epoxy Resin Mix Kit. It’s crystal clear finish, UV resistance, and other perks make it an easy to use product that beginners and veterans can both enjoy. Should You Buy Angel Crafts Casting Resin? All in all, it seems that Angel Crafts’ Clear Cast Epoxy Resin is a great choice. It’s a tiny bit pricier than some of its competitors but is also a much better product. This is important when you’re working with something tricky like epoxy, so I would go ahead and spend a few extra dollars for a good product. Users are happy about how their products turn out using this epoxy and have an easy time using it. So, whether or not you are an epoxy novice or seasoned veteran, you can have tons of fun creating new fun and useful pieces with Angel Crafts’ Clear Cast Epoxy Resin! Epoxy resin is quickly becoming a popular crafting technique that DIY-lovers and professionals use regularly. It’s the perfect way to encase almost any object you want. 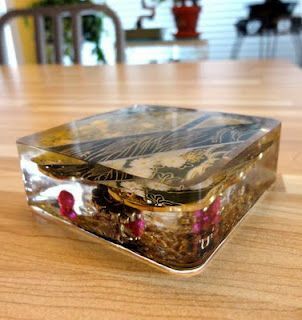 You can create custom tables, art pieces, preserve sentimental items and more using epoxy casting resin. Now, there is a slight difference in regular epoxy versus casting resin. Epoxy is typically a more popular option for making beautiful floors or custom tables. Casting resin is mostly used for encasing small objects and other items. Today, we’ll be reviewing the RTG clear casting craft resin. So, let’s get started! RTG’s clear casting craft resin usually goes for around $50 on Amazon. This includes one quart of casting resin and one quart of hardener, equaling a 2-quart kit. This is a pretty good size product for the price, especially if you are casting smaller objects. You will be able to get a lot of use out of these quart-size bottles. However, if you are using this for a bigger project, I would go ahead and order a little more than you think you need. It is always better to be safe than sorry with resin because there’s no going back! There is also a two-pint option currently on Amazon for less than $50. So, if you are simply encasing a few small items, you might want to grab this smaller and less expensive alternative! This product is compatible with many dyes and pigments as well, so you can change the color of this resin completely or just give it a tinge of color. This is awesome because it allows you to create a truly custom piece with whatever items you are working with! This resin is expected to dry to a very durable, crystal clear finish. Be careful when using this resin though because it sets pretty quickly. This is great if you are embedding multiple objects because it allows you to add every item you want in the exact place you want, but you will have to work quickly. To help you finish the project before the resin dries too much, I recommend laying everything out in front of you in the order you will embed it so you can then work quickly as the resin sets. This resin is also self-leveling which is very helpful if you decide to make anything that will need a flat edge! It is also 100% waterproof, so it is a great way to encase a sentimental item in order to further preserve it! 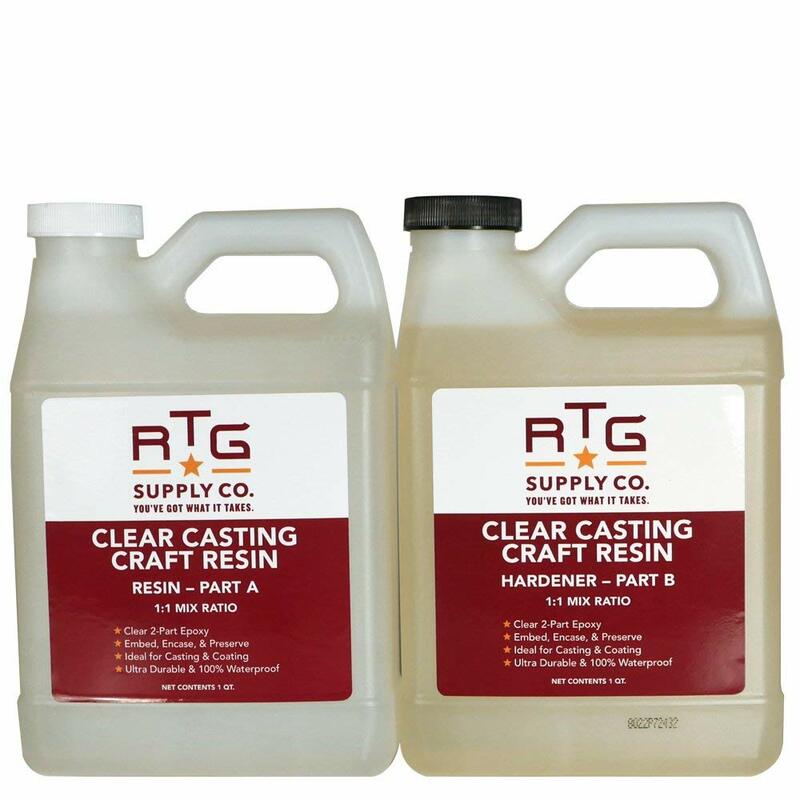 The RTG clear casting craft resin is also scratch and stain resistant. So, it shouldn’t scratch or stain easily, but please still be careful with what comes close to your final product! If you do happen to spill something on it or near it, wipe it up immediately and you should be good to go! RTG’s resin will also resist yellowing which is great for items you plan to have and look out for a long time! It seems a lot of people have an easy time working with this product and enjoy using this product as well! Users have reported the working time to be around 30-40 minutes which is fantastic if you are completing a more intricate project. Setting time is about five hours, but you should wait a full 24 hours for it to be completely hardened. 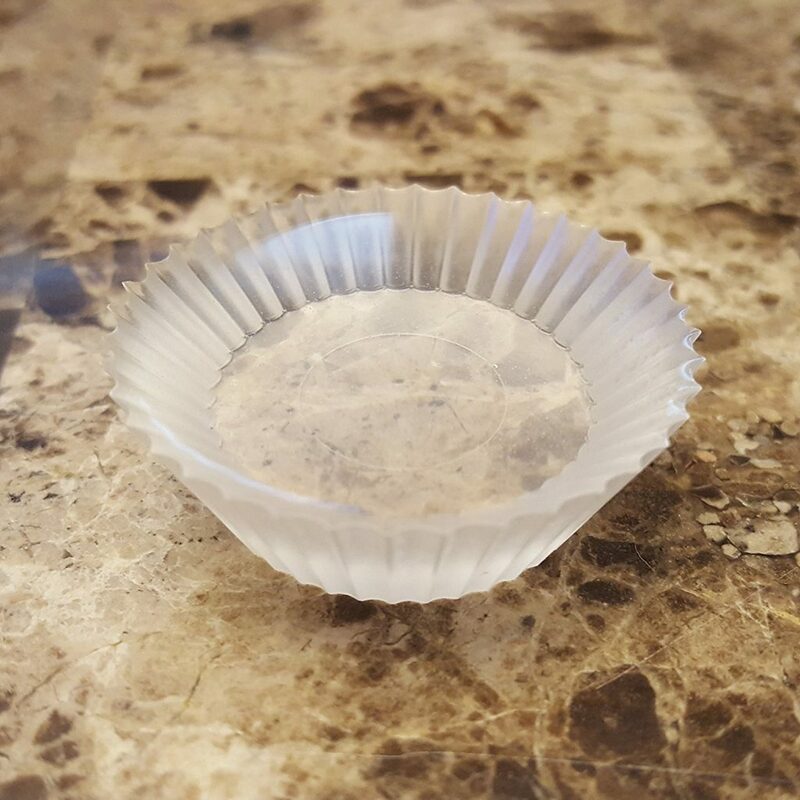 Users also reports that they loved how completely clear this resin is able to dry and set! However, many users did recommend using this product for only single-piece molds and projects. Other users reported that they had trouble releasing bubbles from this epoxy and that it heats up quickly and easily. So, make sure you work with this product quickly and in a cool area to keep it from overheating. Overall, most users seem to like this resin and believe it’s a good resin for smaller and easier projects. It’s also great for beginners that are just learning to use epoxy thanks to its decent setting time! Should You Try RTG's Casting Resin? 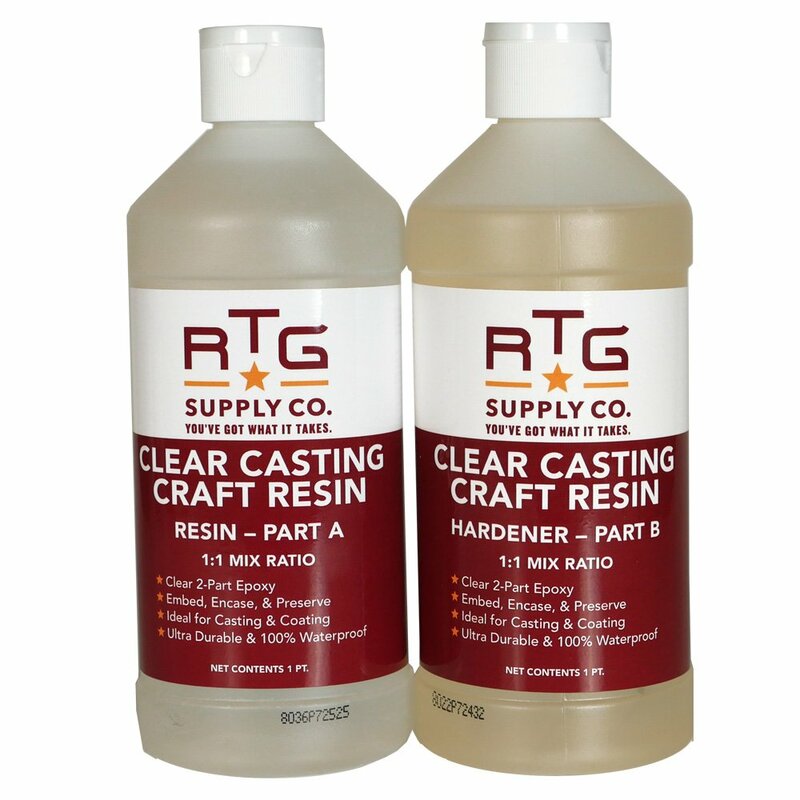 RTG’s clear casting craft resin seems to be a great product that you get a decent amount of use from for the price. It’s a good resin for beginners and small projects as well. Make sure to read the product specific instructions and laying everything you need out in your workspace well before beginning your project. Also, make sure you set up your workspace somewhere cool with a fan or other cooling mechanism to ensure you can work with product the best way possible. Then, have fun creating your new crafting resin projects! is made for casting projects, so it may not be the best for pouring application projects. You will find this epoxy is low-odor, solvent-free, and can be clear or opaque. This casting resin has a lot of perks that make it easy to use and a great product for different style projects. This is a two-component resin that comes with a resin and hardener in each package. This product is low-odor which is great, but if odor really bothers you, we would suggest picking up an odor-free epoxy resin instead. Either way, you will want to conduct your epoxy resin projects in a well-ventilated workspace. This epoxy resin dries crystal clear ensuring the user they will see whatever object they are molding perfectly. This casting resin is ideal for smaller projects. Preserving pictures, small objects, and flowers are all great DIY projects for this product. The EasyCast epoxy resin is also great for making jewelry or small decorative items such as figurines or Christmas ornaments. You can add opaque pigments or transparent dyes to this product to easily give your project a color change. This is a fun way to make your piece unique. You can also use granite powders to give a stone-like look to the object you are casting. This epoxy resin comes in four different sizes. You can choose from 8 ounce, 16 ounce, 32 ounce, or 128 ounce size bottles. EasyCast Castin Epoxy Resin should be used with polypropylene or polyethylene resin molds. You can also use rubber or latex molds, but we highly suggest using mold release or conditioner when using these types of molds. This resin was designed to withstand castings of 6oz or less. Any more, and you will need to do multiple pours in order to achieve your desired look. In order to achieve the best results, your workspace should be between 70- and 85-degrees Fahrenheit. This converts to 21 and 29 degrees Celsius. Before using, place your resin and hardener and warm tubs of water. You want them both to be slightly warm to the touch before using. They do not need to be hot! This resin requires one part resin to one part hardener, which makes them very easy to measure and use. While this resin is self-degassing, you will want to check for bubbles just in case. To remove any bubbles that occur during pouring, blow a hair dryer on the warmest setting across the project. This will help any remaining bubbles rise and release. When curing your piece, remember that curing time will greatly depend on the thickness of your casting. Thin pours will actually take longer to cure than thicker pours. To put it into perspective, a 1-inch casting will take 24 hours to softly cure and 72 hours to completely harden over. Do not attempt to pull your casting from its mold before 24 hours have passed. You will break or crack your project! You can trim or sand your project as needed after curing to bring your vision to life. Should You Try Out EasyCast Epoxy Resin? Overall, this is a great product to work with for any casting resin projects. However, we believe there are equivalently great products on the market for a cheaper price. Consider shopping around before deciding on your epoxy. For the best results, choose an epoxy that is self-leveling, self-degassing, and resistant to UV rays. These will all help your epoxy project to turn our perfectly, the first time around. Every epoxy resin is slightly different, so be sure to thoroughly read the directions for your solution before starting your DIY casting. You will also want to get out all of the tools you need and ensure your workspace is optimized for your project before getting started. Epoxy resin is a great little project, and the EasyCast Clear Casting Epoxy Resin is ideal for small projects such as jewelry, chess pieces, décor items, drawer knobs and more. 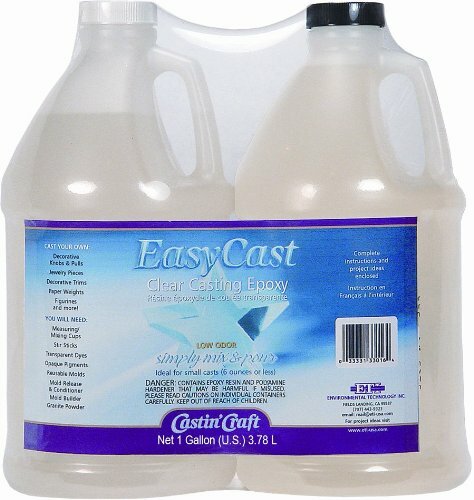 If you are interested in purchasing Easy Cast Clear Epoxy Resin, you can find it on their website as well as Amazon. If you’d rather shop around, Michaels, Walmart, Target, and other stores that carry craft supplies usually have it in stock. 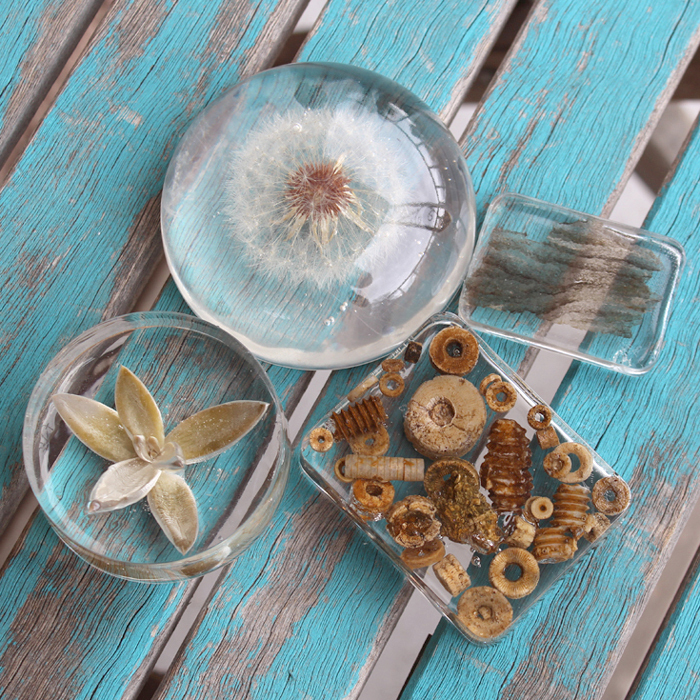 Have fun creating your next DIY casting resin project! 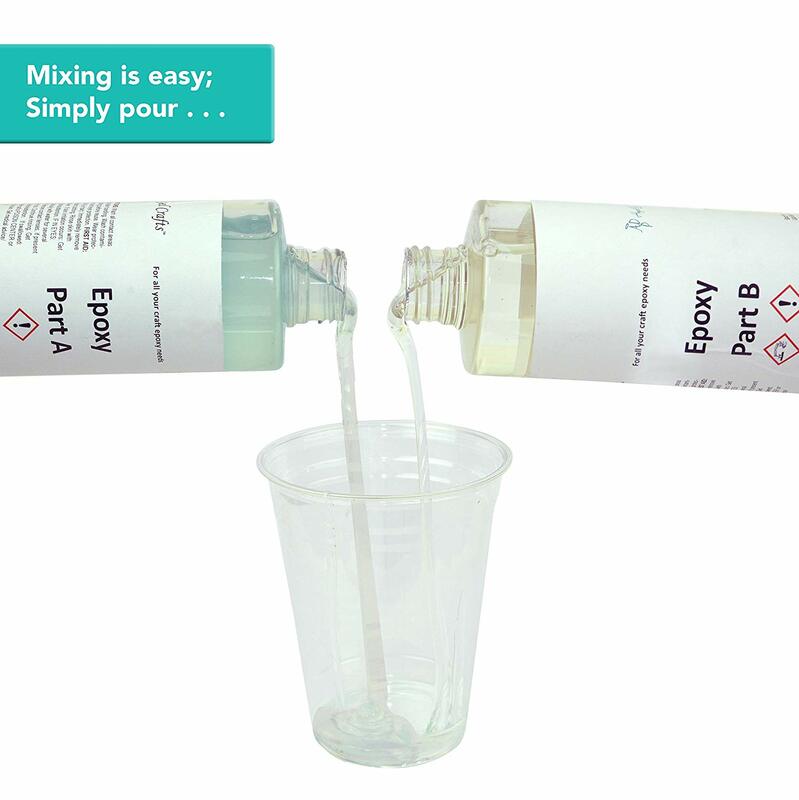 Purchase Your EasyCast Epoxy Resin Now! Epoxy is one of the best DIY projects out there. Preserve floors, tables, and small objects with clear epoxy resin. There are many types of resin to choose from, but today we’ll be going over the Art N Glow Casting Resin. Art N Glow Casting Resin is one of the premium brands of resin. 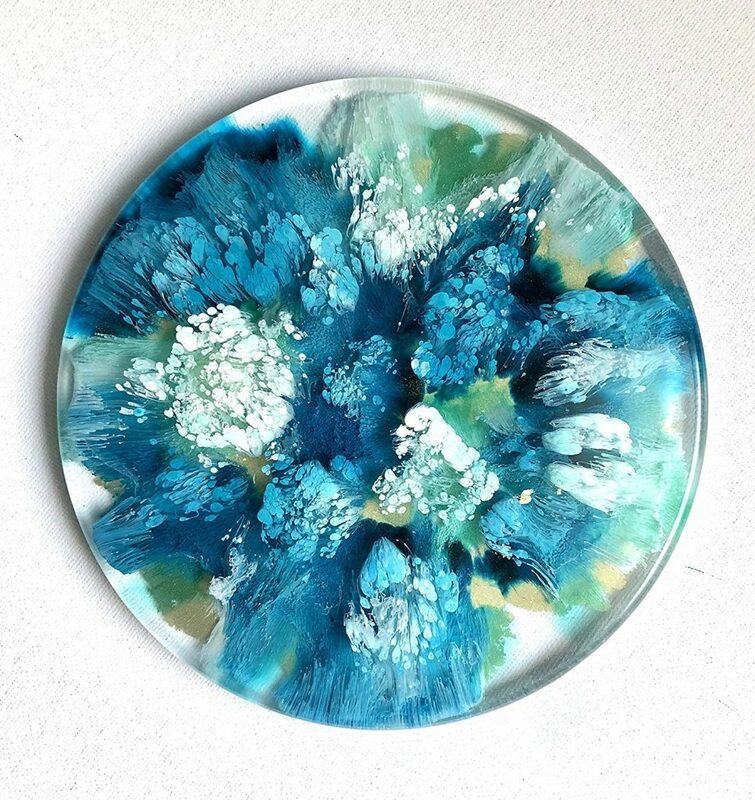 This resin can easily be used as a casting resin or a table top resin. One of the main reasons this resin is so loved is because it dries so crystal clear. You can also trust that this resin will be self-leveling, self-degassing, and odor free. Even though it is odor-free, you will still want to use this product in an open and airy place. The Art N Glow resin has a 40-minute work time which makes it incredibly easy to use and work with. You have plenty of time to manipulate it before it dries which is a great perk for beginners. Art N Glow is also UV resistant which means it will resist yellowing over time. While this is great for projects that will spend some time in the sun, however no epoxy project should spend all of its time outside because it will eventually yellow over a long period of time. The mix ratio for this product is one to one which is user-friendly and another great perk for beginners using this resin. 128 ounces of this resin will cover 26 square feet at a thickness of 1/8th of an inch. This resin was specifically designed to complement Art N Glow’s glow in the dark pigments. The maximum casting size is 6 fluid ounces, but there is not a limit for coating application projects. This product sells in a 16-ounce kit, 32-ounce kit, and one-gallon kit. To maximize your results, try and keep your workspace between 72 degrees and 78 degrees. The closer you are to 78 degrees, the better your epoxy will cure. This resin can withstand temperatures of 120 degrees. 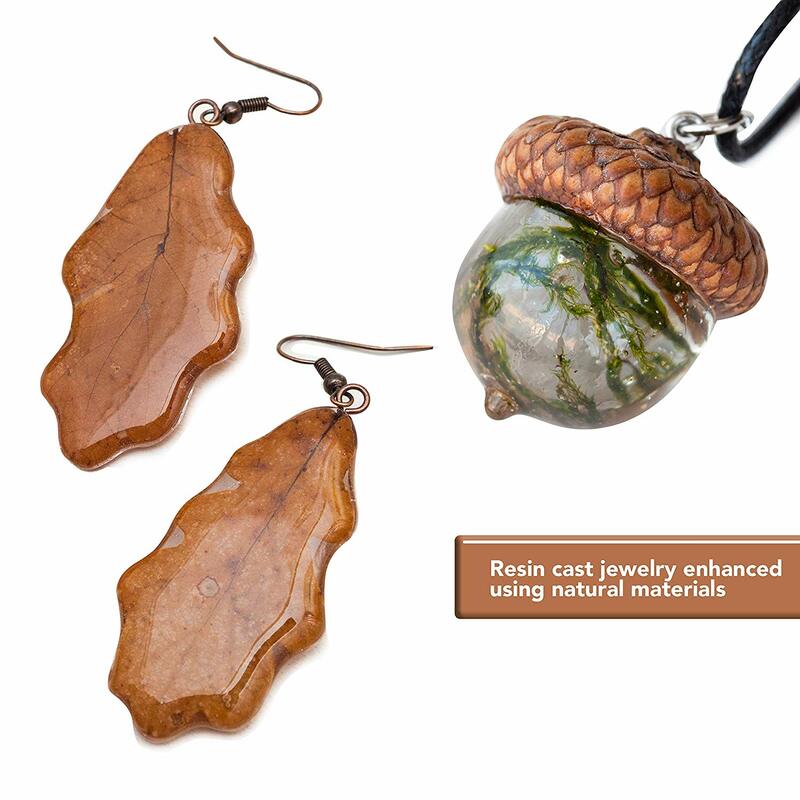 When working with this resin, you can manipulate the temperature to help it work differently. If the resin is a cooler temperature, try placing it in a bucket full of warm water. When doing this, keep in mind the resin will cure more quickly. You will only have 30 minutes to work with it instead of the standard 40. Warming up the epoxy helps to reduce any bubbling. Another thing that could help to reduce bubbling with this product is pouring the hardener down the side of the bucket the resin is in. You will want to keep a steady, slow hand while mixing the two to make sure you don’t add in any air bubbles. You can use an artist torch to get rid of any bubbles that do occur while pouring. If you will be pouring multiple coats in order to thicken your project’s finish, be sure to wait three to five hours in between pours to prevent stickiness, cloudiness, or other issues. After five hours, you will need to sand and wipe down the resin before applying another coat. After 24 hours, the resin will have hardened. After 72 hours, it will be completely cured. Art N Glow resin is safe for at home use. It is non-toxic and doesn’t produce fumes. However, either way you will need to wear gloves and goggles while working in a ventilated workspace. Should You Try Out Art N Glow Epoxy Resin? Art N Glow Epoxy Resin is a great product for both beginners as well as experts. There are a lot of products to choose from out there, but this one is definitely one of the best. It is a little pricey compared to other options, but it is totally worth it. This epoxy is an all in one product perfect for clear casting projects as well as pouring applications. The long curing time enable users to manipulate the resin as needed for a good amount of time. The self-leveling and self-degassing is also a huge perk. The UV resistance is also an added bonus if your project will be subjected to sunlight. You can use this resin for many types of projects including pouring over tables or countertops. Make jewelry, décor pieces, or even art with this product as well. Be sure to double check how much you need for your project before making purchase. You don’t want to be left without enough resin to complete your project. Art N Glow also has some other great product add-ins. The glow in the dark pigments are especially unique and perfect for some extra special projects! Overall, this product is a joy to use, dries crystal clear, super hard, and resists bubbles. So, try out Art N Glow resin for your next project and be sure to read the product specific directions thoroughly before beginning your next DIY!